Product #21165 | SKU 258954 | 0.0 (no ratings yet) Thanks for your rating! 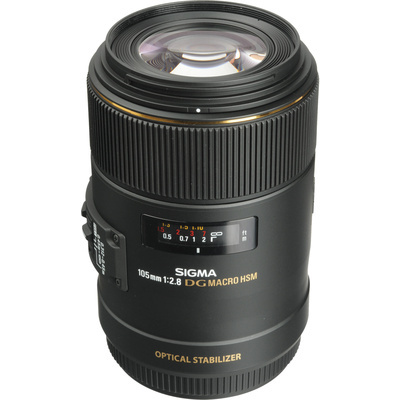 The Sigma 105mm f/2.8 EX DG HSM Macro Lens for Canon EOS Cameras delivers superb, distortion-free images throughout its broad focus range, from infinity telephoto to life-size ( 1:1 ) macro, as close as 31 cm without accessories. A Special Low Dispersion (SLD) lens and one high refractive index SLD lens provide excellent correction for all types of aberration and distortion. Its non-rotating front lens group makes it easier to work with polarising filters. A focus limiter helps divide the broad focus range into more manageable chunks.